Are you residing in the Milton area and thinking about purchasing a used car? 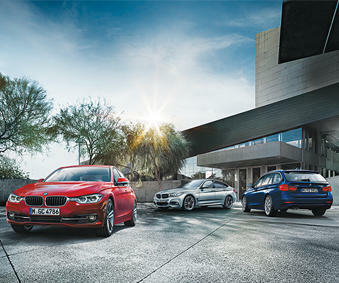 The inventory at Budds’ BMW Oakville is rich with used SUVs, sedans, and coupes. Most cars today are not utilized for luxury and to turn heads. More so, vehicles are a practical way for people to get from A to B most conveniently. This is a reason why people these days choose to purchase their vehicles from a reputable company, and the number of people purchasing used vehicles had been increasing over the years. Budget flexibility, rising costs of new vehicles, and lack of availability could be a few factors causing this. If you live in the Milton area and you are thinking about purchasing a used vehicle, Budds’ BMW Oakville can offer you some pros and cons. You Can Save: If you are looking at a vehicle that you would be the second driver on, you can save a lot of money, without having to compromise on quality and unique advantages. Warranty Transfer: When the used car that you are looking at is still under the original warranty, you can transfer the warranty into your name to leverage it without really paying for it. You Pay Less: When you buy a used vehicle from our associates at Budds’ BMW Oakville, you will be paying less for vehicle registration, insurance and tax. A person can benefit from this if they are lacking financials for purchasing a new car. Also, on our Budds’ BMW Oakville website, you can find a wide variety of used domestic cars, classic cars and imported cars. CarFax Report: If you are going to buy a used vehicle, it is imperative that you receive all the information on the vehicle’s history. Lack of Specific Variety: If Budds’ BMW Oakville does not have the used BMW vehicle you are desiring, we can easily search our massive inventory at our other dealership in Hamilton, Ontario, so the chances of eventually finding the BMW of your dreams is greatly increased. If you are living in the Milton area and you would like to get more information on purchasing a used vehicle from our Budds’ BMW Oakville dealership, please feel free to visit our pre-owned section on our website to scan through our inventory. You can also come in and take a test drive.